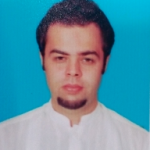 Muhammad Abdul Rahman, a Lecturer of Agricultural Economics at Pir Mehr Ali Shah Arid Agriculture University Rawalpindi-Pakistan, studied agricultural economics at Masters level and now pursuing his PhD in Economics. After graduation, he proceeded to work as a consultant in a fast, upscale environment of world-renowned Pakistani research think tank, Sustainable Development Policy Institute (SDPI) that ranks at 55th place globally by the Global Go To Think Tank Index. He learnt skills and expertise in Food security and Climate Change studies from agricultural perspective. He then moved to Pir Mehr Ali Shah Arid Agriculture University Rawalpindi-Pakistan as a lecturer and now teaching agricultural economics at graduate level. 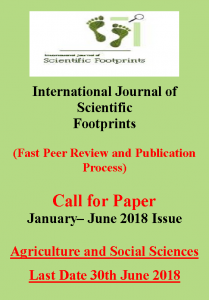 With the encouragement of his friends and colleagues, he is now helping the scientific community and agricultural graduates by writing innovative blogs on agriculture and its allied sectors for reading, knowledge, learning and dissemination of smartness in agriculture sector. He is also a Managing Editor at International Journal of Scientific Footprints. Grateful for an amazing bouquet of friends and colleagues, A. Rahman makes sure that new agriculture graduate find agriculture sciences exciting, innovative and interesting and to choose it as a career. For information and consultation please contact at: arahman@aridagriculture.com, mabdul.rahman@live.com.